Keeping strong is a key area of both bodybuilding and powerlifting, which is where the best supplements for strength fit into the equation. There is a competitive streak built into every one of us which forces us to keep moving forward. This constant crave for improvement makes us look for other ways to help meet our goals. That’s why we turn to supplements. If you get it right, the best supplements for strength and size or any scenario can help you get there a damn sight quicker. So if the strong desire to build up your strength is getting the better of you, then we’d better jump straight to it. 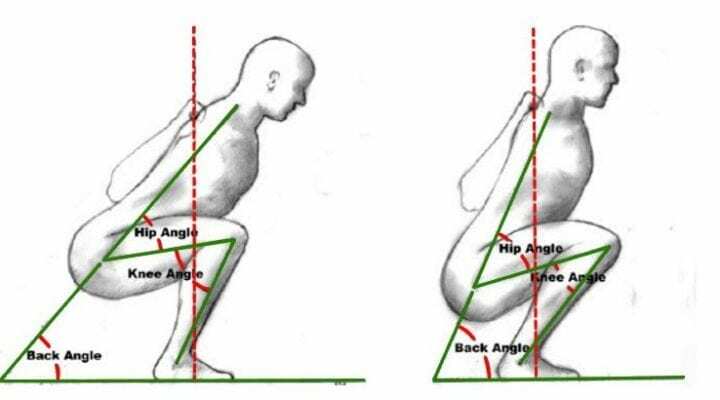 Looking at the basic principles, improving overall strength means there are key factors to focus your attention on. When it comes down to building muscle mass and strength there is one hormone which is king. We are of course talking about testosterone. If your T levels are low you will have a really hard time building muscle mass and strength. Testosterone boosters make sure you get all the vitamins, minerals and ingredients that trigger testosterone production in the body. It’s also true for other ingredients and they are many! If it does it is likely that your testosterone levels are low. To avoid all confusion and scam products that don’t contain the right ingredients we’ve researched the topic quite a lot. We recommend to use Testogen as it contains all the best ingredients in large doses. For more info read our testogen review or our article on the top 5 testosterone boosters on the market. Creatine is a natural fuel source stored within the muscle cells as phosphocreatine (PCr). More energy equals more power which increases stamina, therefore you get stronger. Experts put creatine to the test. The amino acid glutamine is a bodybuilder’s essential because it’s got a major role in muscle growth, recovery and boosting immunity. Glutamine boosts protein synthesis which is key for growth, preservation and strength of muscle. Keeping glutamine levels in order preserves muscle strength. Beta alanine is also one of the best strength supplements for powerlifting. This amino acid builds endurance, boosts performance and literally comes into its own when used for short bursts of intense training. Carnosine tames lactic acid build up in the muscles, balancing ph levels. This increases your fatigue threshold helping you to train longer and recover faster during sets. Whey protein has to be go-to post workout supplement every bro has stashed beside their gym kit. This fast working protein is the king of recovery but also promotes gains in mass and strength. Whey ups your protein intake. This has a positive effect on increasing protein synthesis for growth, repair and the retention of lean muscle mass. Whey protein helps your muscles recover and grow faster after workouts. This combo is perfect for strength gains. Caffeine doesn’t really need an introduction it’s the most widely used stimulant on the planet. It’s also very handy for boosting muscular endurance and performance, making it one of the best supplements for strength. Caffeine blocks sleep signals which in-turn make you more active, alert and energized. Caffeine boosts energy levels, eases perception of effort and power which are all fundamentals for strength training. Branched chain amino acids or BCCA’s are made up of three amino acids leucine, isoleucine and valine. They reduce muscle catabolism making it one of the best supplements for muscle gain for beginners. Experts pitted BCAA’s against whey in a series of tests bench press, squats and other training. BCAA’s promote recovery, muscle growth and an increase in performance which all lead to one of the best supplements for strength. Before looking at any strength supplements you have to make sure you train right, your diet is good and you get a good nights sleep. Without those 3 factors you will get nowhere even if you use the best supplements. After our research and experience on the subject I can safely say the all the supplements mentioned above are really excellent choices. If your T levels are low definitely go for the testosterone booster. Let’s assume you are a healthy adult with decent levels of testosterone, if that were the case I’d definitely start using creatine and see where that would get me. It’s your choice and hope this article was helpful to you and that you can continue to increase your strength. Below I’ve answered some questions and you can also comment down below if you have any additional questions. Take care guys and keep working hard. Do I need supplements to get stronger? No you do not, how you train and what you eat are far more important than any supplement. Make sure to eat enough protein to support strength and size gains. Also use a program designed to increase strength like 5×5 for example. What’s the best program to increase strength? The 5×5 program has proven to very effective to increase strength. It works by using a heavy weight that you can lift for 5 reps and 5 sets. After each week you attempt to lift heavier weight than the week before. This program works very well for bench press, deadlift and squat. Supplements like whey protein, creatine, multi vitamins, beta alanine, testosterone boosters, bcaa’s work very well for bodybuilding. Load creatine for 5-7 days by taking about 3-5 grams 3-4 times per day. After the loading phase use one dose(3-5 grams) of creatine daily.